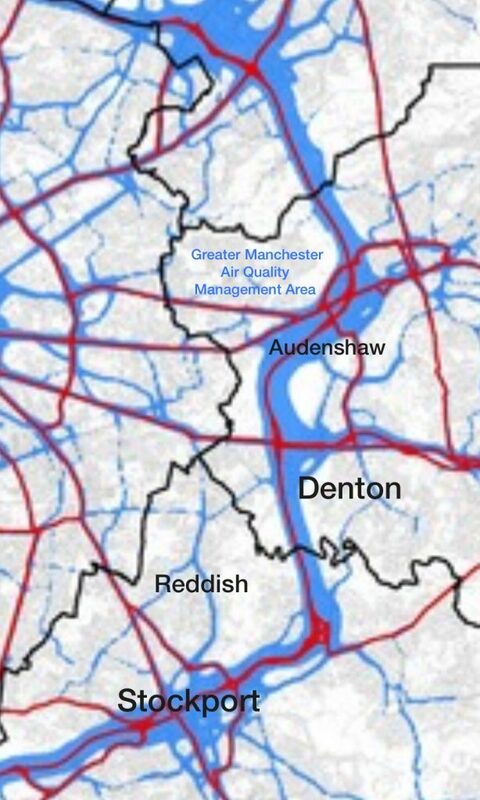 Denton and Reddish MP, Andrew Gwynne, is urging central Government to do more, as well as encouraging his constituents to help improve air quality for all by ditching their cars and getting active on Clean Air Day, 21 June. Constituents in Denton and Reddish are encouraged to cycle or walk when they can. This will limit their pollution contribution but also protect their heart health, as air pollution levels can be significantly higher inside a car. 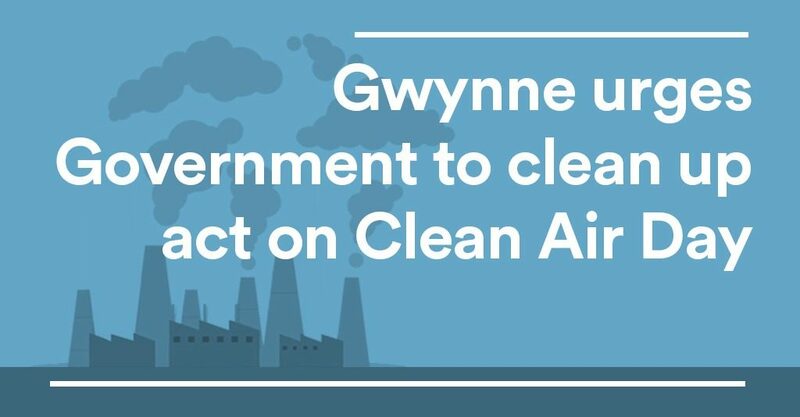 As well as encouraging individual action, Gwynne is also calling for national action to make the UK’s air safe to breathe, especially for his constituents with heart and circulatory conditions whose health is at increased risk from air pollution. 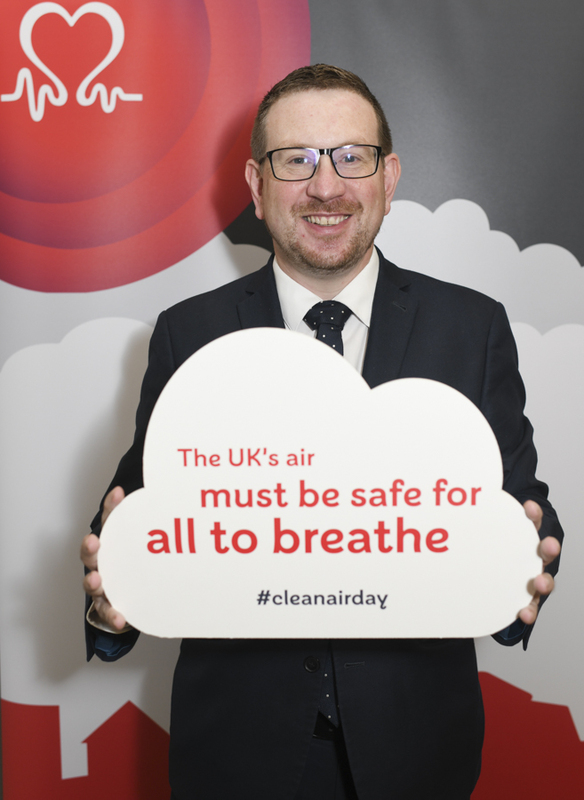 Andrew Gwynne MP attended a photo-call organised by the BHF in Parliament ahead of Clean Air Day to express his support for action that will ensure that the health of people living in Denton and Reddish isn’t at risk from the air they breathe. “I’m concerned that my constituency has been identified by the WHO as having particulate matter levels that could pose a risk to 9400 of my constituents living with heart and circulatory disease. “It is extremely concerning to hear how the UK’s air pollution is harming the public’s heart health every day, because air quality limits are not stringent enough. Research shows that even the smallest reduction in PM can make a big difference in preventing new cases of coronary heart disease. “It’s great to have the support of Andrew Gwynne MP with encouraging action to promote and protect the nation’s heart health from the effects of air pollution.